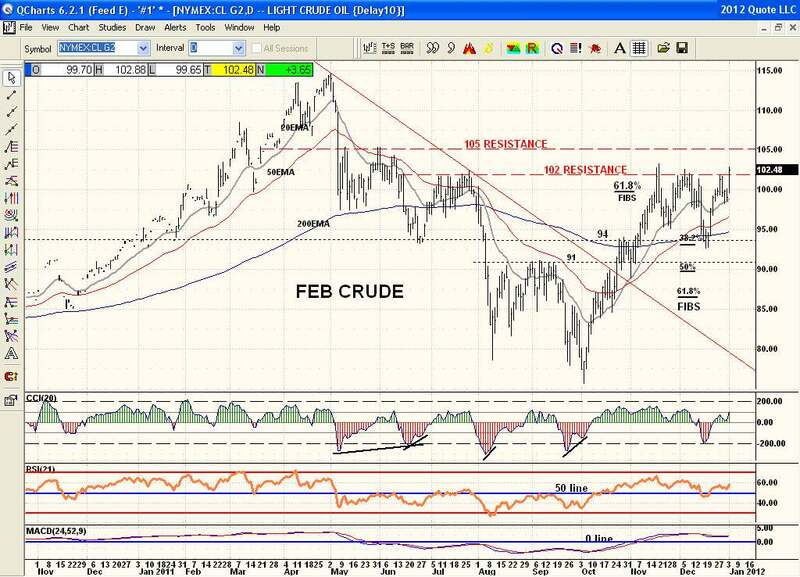 Feb Crude is once again bumping up against price resistance. Price pulled back to $94 and the 200ema the last time it tagged this resistance area and is trying to chew through this resistance area again for the 3rd time. A lot of resistance is beeing chewed away on this 3rd attempt but there is also a band of resistance between $102 and $105 to clear. Not an easy task to blow through this much resistance so close together.